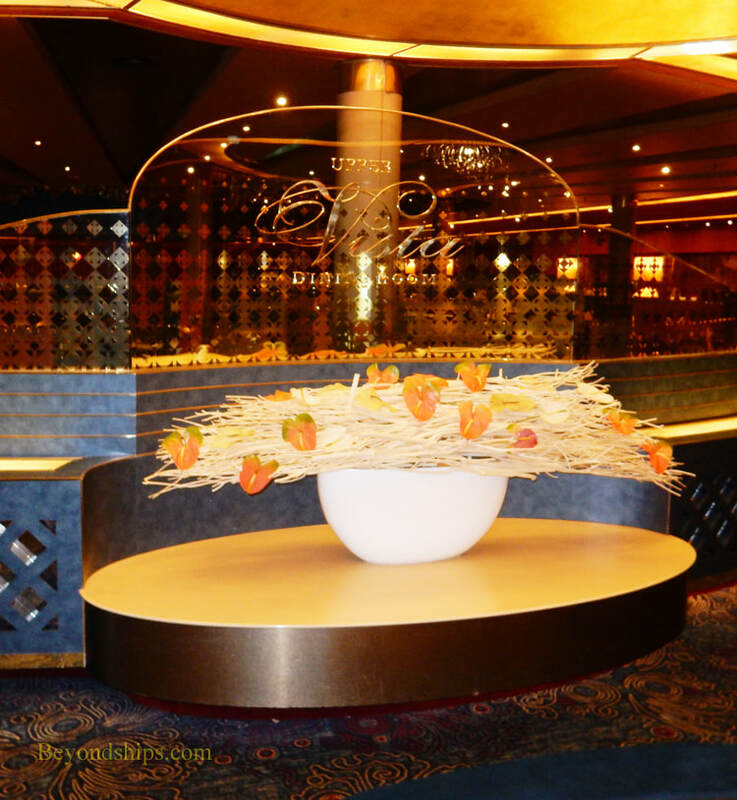 Oosterdam offers passengers a variety of dining options, both complimentary and extra-tariff. 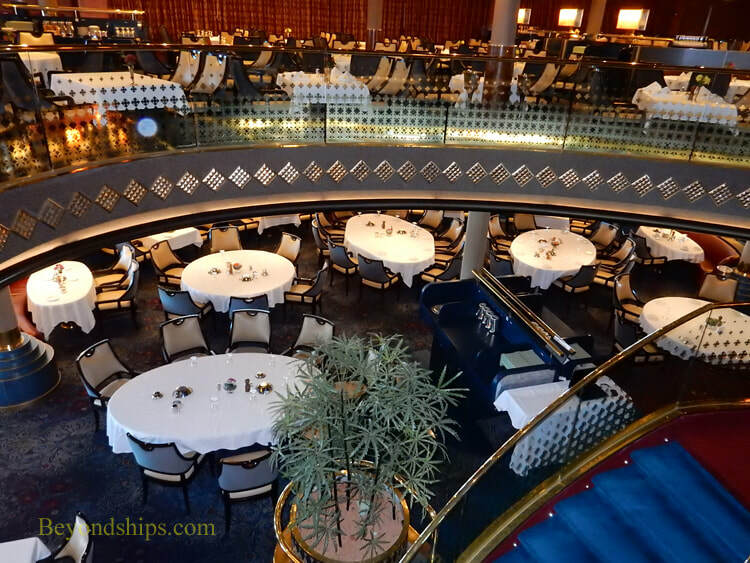 (See also our Oosterdam dining review). 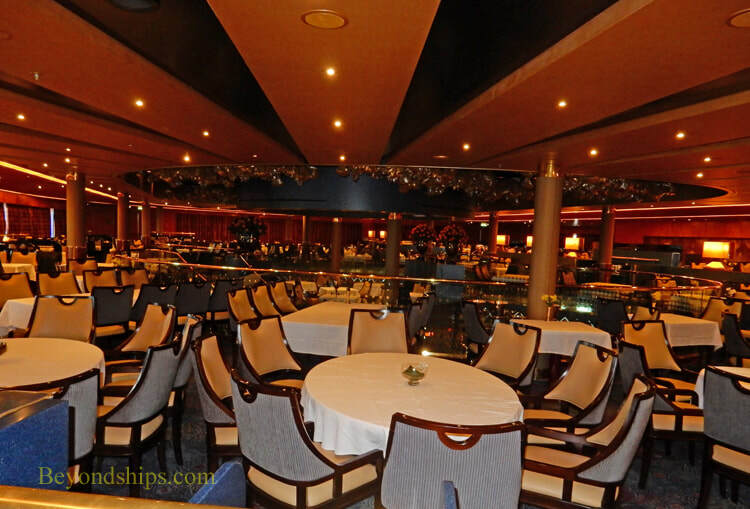 The Vista Dining Room is Oosterdam's main dining room. It is open on an open seating basis for breakfast, lunch (sea days), and for afternoon tea. 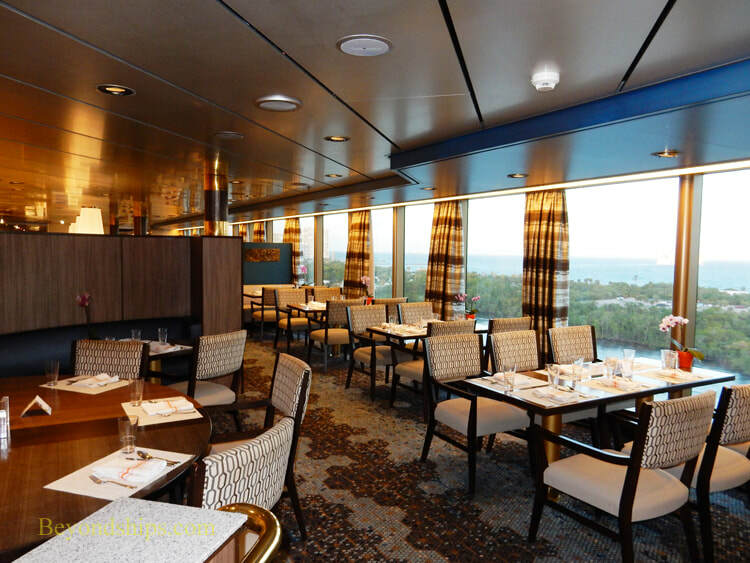 For dinner, part of this two deck restaurant follows the traditional dining system with each passenger assigned to a specific table at either the early or the late seating. 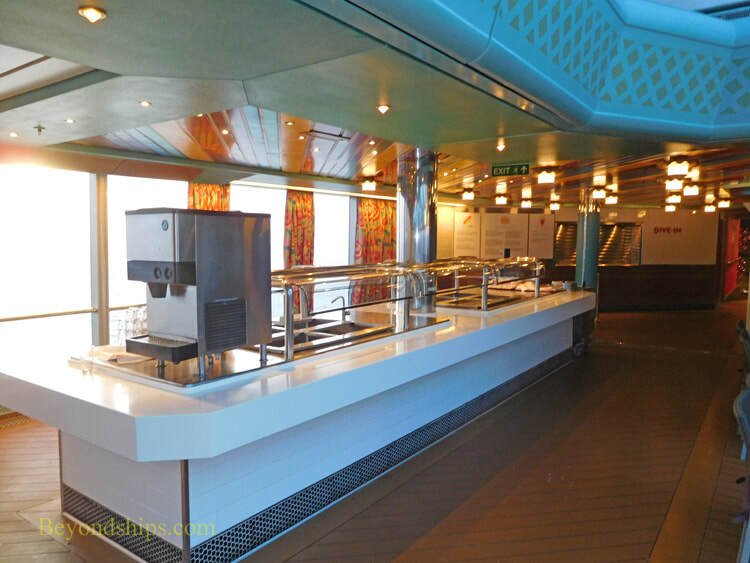 The remainder of the restaurant follows a flexible dining system where passengers can dine at anytime but may not have the same table and staff each night. 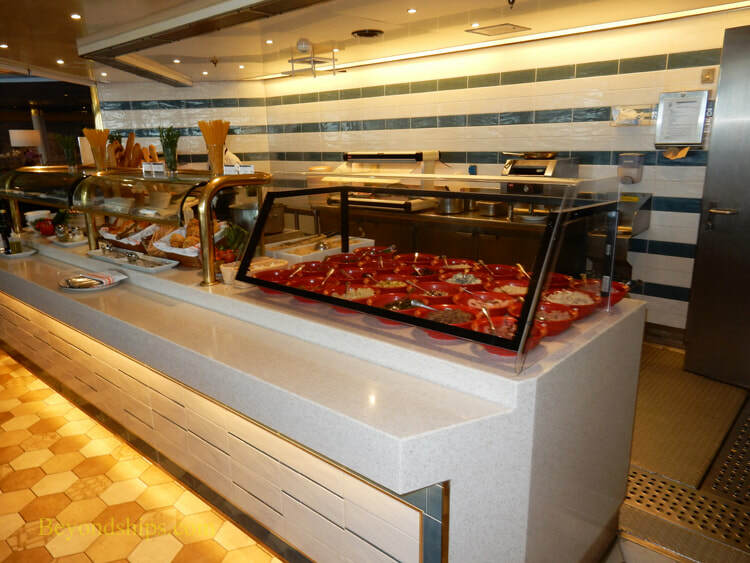 The Lido Restaurant is Oosterdam's buffet restaurant. 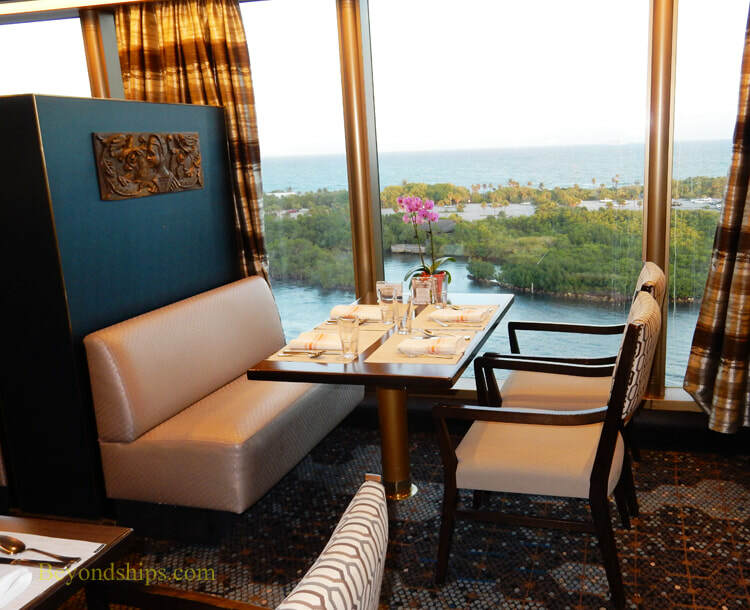 Located high on the ship, the seating is by floor to ceiling windows that provide panoramic views. 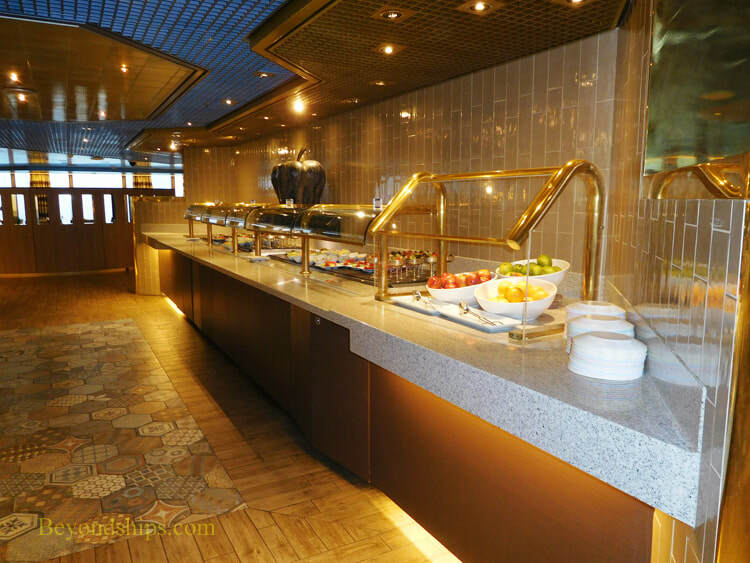 There is considerable variety including a number of hot offerings as well as a sandwich station and an excellent salad bar where a staff member will make salads to order. 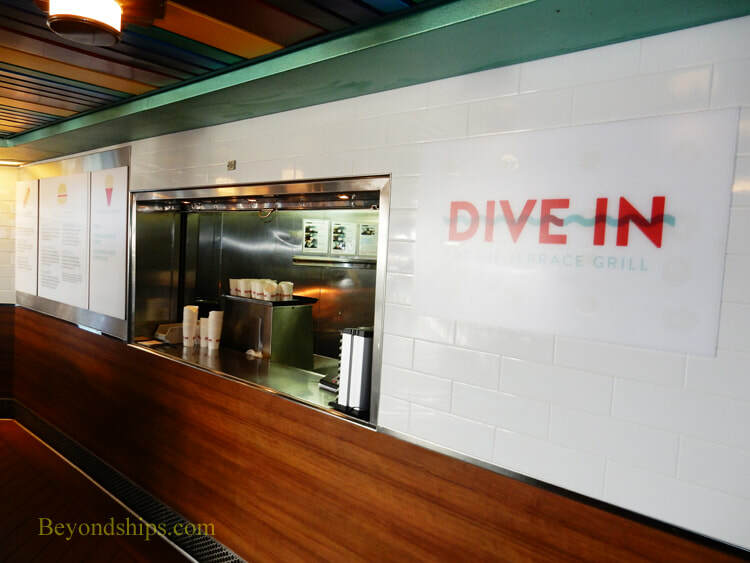 Dive-In, located by the Lido Pool, is one of the best hamburger venues at sea. It has a menu of specialty burgers cooked to order as well as sandwiches and other light fare. There is also a self-serve salsa bar. 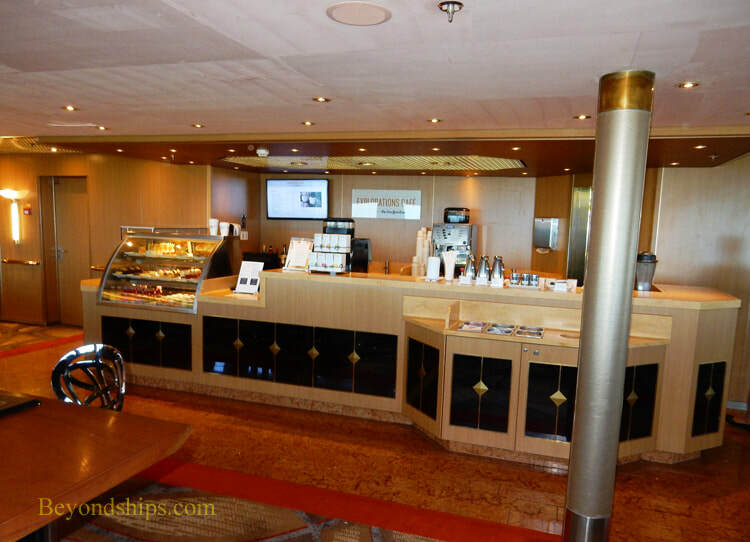 Explorations is a specialty coffee bar with cookies, pastries and sandwiches. The food is complimentary but there is a charge for the coffees and teas.